If you don’t want to cook yourself, let yourself be pampered with a delicious meal on our terrace or in the farm kitchen. 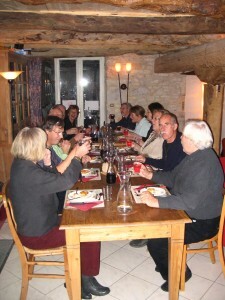 At Domaine Audubert you and our other guests can sit and eat at our nice and cozy dinner. 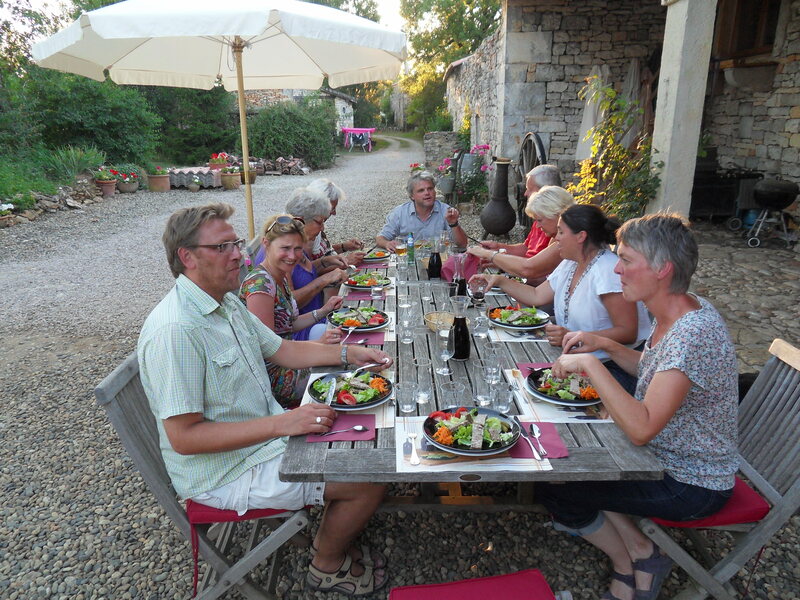 We prepare a 4 course surprise menu of local delicacies and products from the farm: organic chicken, meat and vegetables from our large garden. Even vegetarian meals are prepared on request. You can specify in advance what ingredients you really do not want to eat. The region is famous for its truffles, Cèpes (mushrooms), chestnuts, foie gras, wild game (boar), its juicy melon, plums, figs, peaches, apples, pears and cherries. You can also enjoy the local goat and sheep cheeses and fish (trout) from rivers in the area. The wines from the region you can enjoy are the Cahors and Gaillac wines. Of course it is also possible to have a drink on our terrace.. In the summer we also have theme nights. 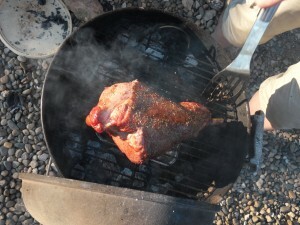 We prepare for example a large real paella or you can come and enjoy a delicious barbeque.